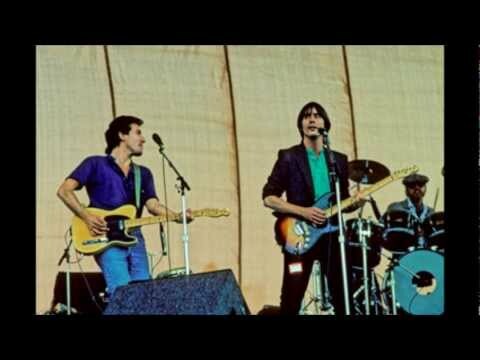 Bruce covered the song 5 times, always together with Jackson Browne . Bruce Springsteen & the E Street Band recorded a version for the No Nukes album. First of two MUSE (Musicians United for Safe Energy) Benefit concerts, also known as "No Nukes". 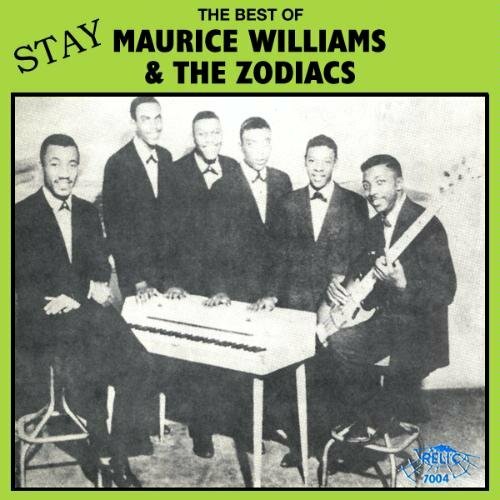 "Stay" is a doo-wop song written by Maurice Williams and first recorded in 1960 by Williams with his group the Zodiacs. The song was written by Williams in 1953 when he was 15 years old. He had been trying to convince his date not to go home at 10 o'clock as she was supposed to. He lost the argument, but as he was to relate years later, "Like a flood, the words just came to me." In 1960, the song was put on a demo by Williams and his band, the Zodiacs, but it attracted no interest until a ten-year-old heard it and impressed the band members with her positive reaction to the tune. The band's producers took it along with some other demos to New York City and played them for all the major record producers that they could access. Finally, Al Silver of Herald Records became interested, but insisted that the song be re-recorded as the demo's recording levels were too low. They also said that one line, "Let's have another smoke" would have to be removed in order for the song to be played on commercial radio. After the group recorded the tune again, it was released by Herald Records and was picked up by CKLW. It entered the U.S. Billboard Hot 100 on October 9, 1960 and reached the number one spot on November 21, 1960. The original recording of "Stay" remains the shortest single ever to reach the top of the American record charts, at 1 minute 36 seconds in length. By 1990, it had sold more than 8 million copies. It received a new lease of popularity after being featured on the Dirty Dancing soundtrack.